ItemA-03357 - New Westminster; Canadian Pacific Railway Engine 374 Passing The Provincial Penitentiary; Warden's House To The Right. ItemA-03684 - The general store at Elko. ItemA-03687 - Fort Steele, North West Mounted Police camp. ItemA-03688 - Fort Steele; Charley Levett's Hotel, Steele House. ItemA-03690 - Fort Steele Homes. ItemA-03691 - Fort Steele; Crowsnest Pass Mail Stage. ItemA-03695 - Customs House, Fort Steele. ItemA-03698 - Freighters Passing Through Grand Forks, Customs House Far Left. 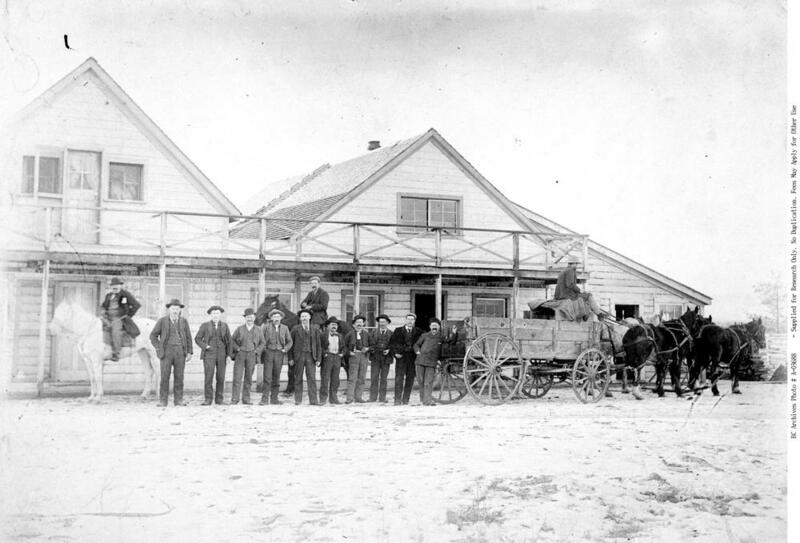 Item A-03688 - Fort Steele; Charley Levett's Hotel, Steele House.